HAVANA – The fading yellow-green walls are chipping, and someone’s rooster crows loud enough to be heard over the whistles and punches. The Gimnasio de Boxeo Rafael Trejo in Havana, Cuba, has tall buildings on either side which frame the outdoor practice facility. The residents of the high rises open their windows and lean out to watch the exercises below. Lucie Gonzalez runs the gym and manages the coaches who come to train. 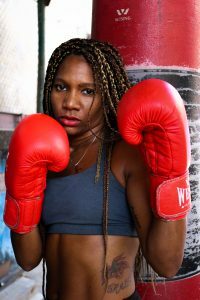 She also manages some of the boxers themselves, including the gym’s two most unusual fighters – Legnis Cala Massó, about to turn 26, and Idamelis Moreno, 25. 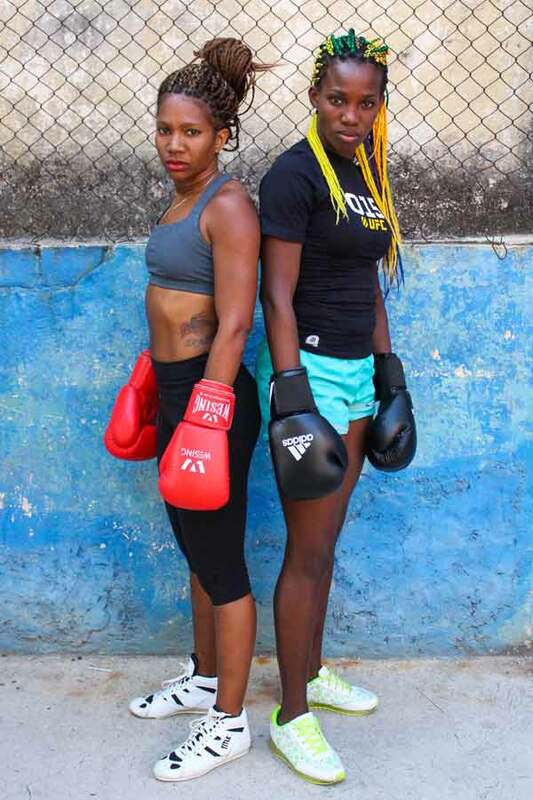 In Cuba, women like Massó and Moreno are forbidden from official competition, from collecting titles, or from representing the republic in any way at boxing events. It is that fight Massó and Moreno most feverently hope to win. A five-foot tall man with a ‘US Sports’ sleeveless shirt on yells at the top of his lungs. He’s standing in front of a line of men and swinging his arms out in instruction to coach them. About every 10 to 15 seconds, he blows the shrill whistle to tell them when to start another set. 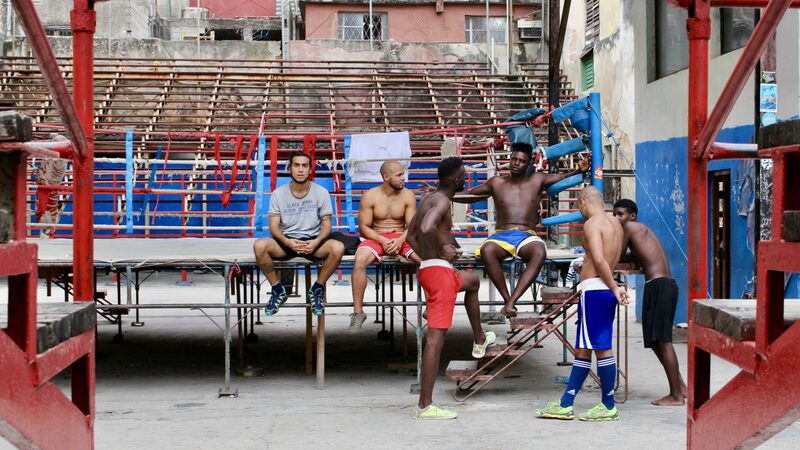 All eight of the boxers behind their coach drip sweat, and jump upwards with each swing of their fists. They’re all Afro-Cuban men who come here every week, except two visiting boxers from Sweden. Boxer Noel Hernandez, 25, practices to the Rihanna playlist that other boxers’ blast from their phone speakers, while he does push-ups in the gym’s makeshift ring. It’s a layer of plywood with carpet fibers on top, covered by canvas sheets. The surrounding blue, white and red poles and ropes match the rows and rows of red bleachers where tourists in Cuban flag T-shirts sit with their big camera lenses and iPhones to take pictures. Hernandez’s arms flex with every push-up, and when the sweat falls from his nose, he sits in the corner to rest. He holds the Champion del Mundo title from a match in London. He watches as the coach starts to pull men aside one-by-one to touch their necks one by one to take their pulse, then leads them to a bucket to pour water over their heads to cool down. Only one of the eight there brought a bottle of water to combat the draining, humid heat. 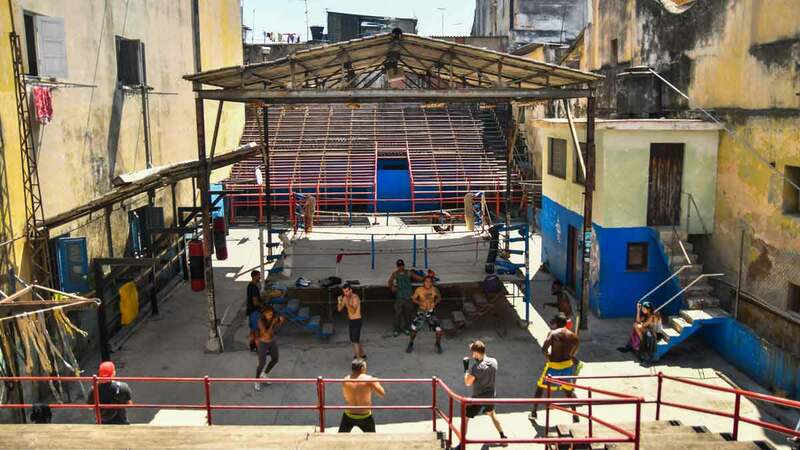 Boxing is one of the three sacred sports in Cuban society, joined by ballet and baseball. 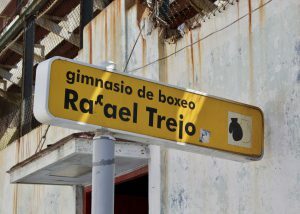 The government supports free boxing for children in its athletic programs, but support is given only to boys and men. Sergio Mercenit, a local interpreter, translated and explained on behalf of Moreno. Legnis Cala Massó, 26, is another female boxer that trains at the gym alongside Moreno and the men. After putting on her gloves, Moreno sits on the edge of the ring. 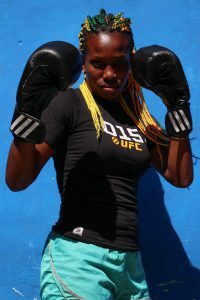 While Moreno punches a bag in the corner of the gym, braids swing around her face. Her dragonfly necklace bobs up and down with each punch. She gets a rhythm going. 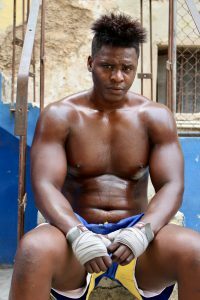 Moreno teaches sports and athleticism classes at the University of Havana. She is also still a student there, in high-level classes for her subject. Moreno has been professionally training at the Trejo gym for about the past year, practices in her diamond earrings, chipped pink nail polish, and is open about showing her femininity. It took a while for her family to accept that she wanted to go against gender-norms and participate in a male-dominated sport. Her dad came around first, because he’s always had an affinity for fighting sports, Moreno said. Her boyfriend on the other hand, loves her passion for what she does. Moreno has never been intimidated by fighting men that are bigger and stronger than her. With a naturally athletic build, she’s been a track and field runner for her entire life, leading up to boxing. “[Moreno’s] been practicing since she’s a little girl. And she was an athlete before – her body is already used to big training, stress. In fact she cannot live without it – training,” Mercenit said. 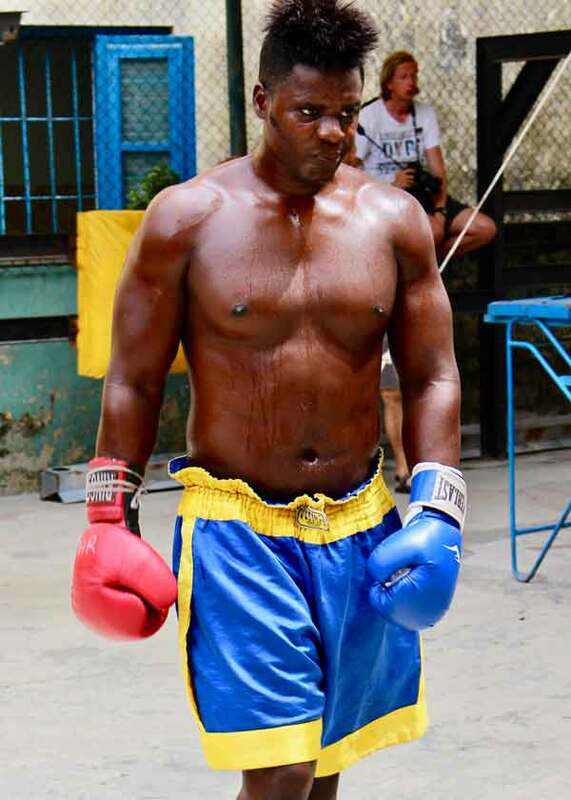 For the past year and a half, Moreno has been writing letters with fellow female boxer Massó to government officials. 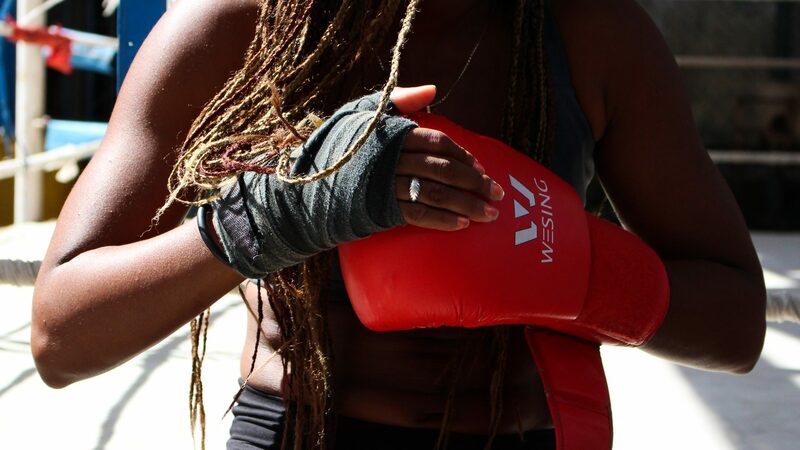 They’ve been trying to gain traction for support of female boxing. The women haven’t received any response. 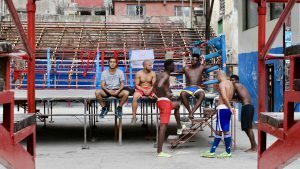 For now, Moreno and Massó have stopped petitioning for official state support of equal boxing opportunity. Instead, they are both focused on training against the men, like Hernandez, at Trejo because they agree it builds their strength. Training together every day, Moreno and Massó have become close friends. 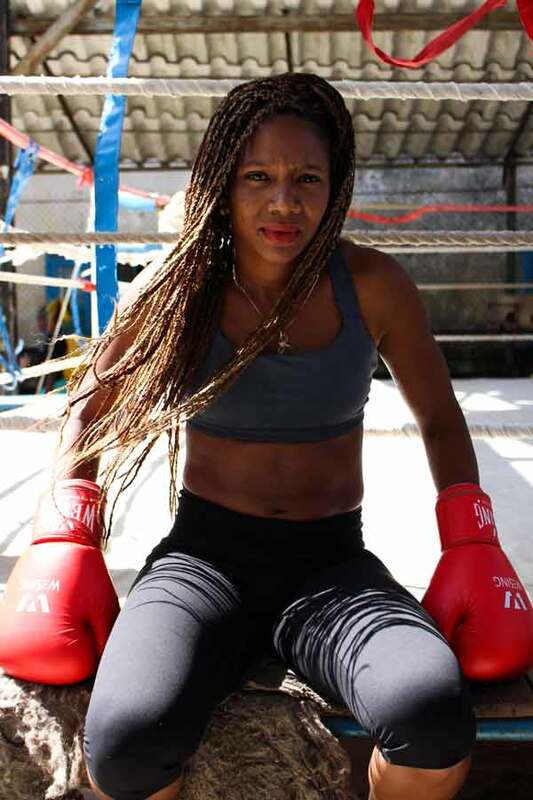 Moreno said that while the government does not recognize women who box, she still trains because the pair dreams of competing together in the Olympics in Japan in 2020. 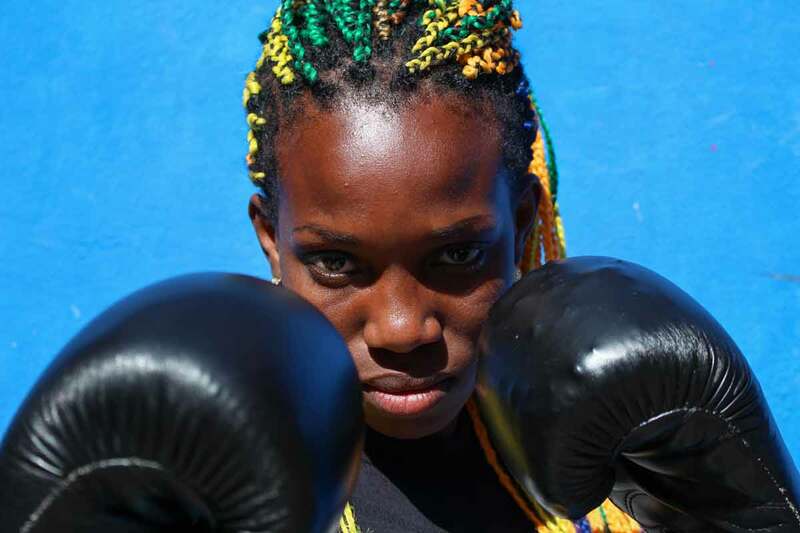 She believes that someday, the government will accept women in boxing competitions. She has faith, too, that she will achieve her dream of competing for Cuba in the Olympics as well. She has expressed her dreams and frustrations with a tattoo on her left side, a swallow ready to fly. “It means she doesn’t want to be in one place, she wants to be free,” Mercenit explained as Moreno nodded and smiled for emphasis. Then, she points proudly to her swallow. Moreno (left) and Massó (right) hope to compete in the Olympics in 2020.